Advances in smart TVs, set-top boxes, and cord-cutting services have driven some important improvements in TV viewing for most consumers. But there’s still one glaring hole when it comes to a truly modern connected TV experience: synchronized second screen content. The vast majority (75-80% according to a recent survey conducted by TECHnalysis Research of over 3,000 consumers across the US, UK, Germany, Brazil and China) of device-owning people who watch TV admit to using their additional devices, such as notebooks, tablets, and smartphones, while viewing. So the obvious question is, why not try and link the two device experiences together? In fact, the case for doing so gets even stronger when you look into what people are doing on those second screens while they’re watching TV. In the case of PCs, the top five activities conducted on a PC while watching TV are: browsing the web in general, reading personal email, online shopping, browsing the web for content tied to what they’re watching (over 39% said they did this), and reading the news. On tablets, the top five activities are browsing the web in general, browsing for content tied to what they’re watching (just over 38% of tablet owners responded to this option), reading personal email, reading the news, and social media. Interestingly, for 25-34-year olds, the top activity on a tablet while also watching TV was browsing for TV content-related information. Nearly 40% of people surveyed are already making the effort to manually tie together what they’re watching on the big screen to the small screen in front of them. Imagine how much higher that percentage could go if there was some mechanism for connecting the devices automatically? Even on smartphones, there’s a strong link. Not surprisingly, texting/messaging is the most common smartphone activity while also watching TV, followed by social media, general web browsing, browsing for TV content-related information (36% of respondents), and then reading personal email. Interestingly, texting about content on TV was actually the sixth most common activity on smartphones across all age groups, but was the second most common for 45-54-year olds. The key takeaway from all this is that nearly 40% of people surveyed are already making the effort to manually tie together what they’re watching on the big screen to the small screen in front of them. Imagine how much higher that percentage could go if there was some mechanism for connecting the devices automatically? Of course, this is easier said than done. There’s no standardized method of transmitting what people are currently watching on their TVs to other devices, although audio analysis technologies (similar in concept to what Shazam does for music) can—in theory, at least—recognize what people are watching by listening to the audio content of the program. 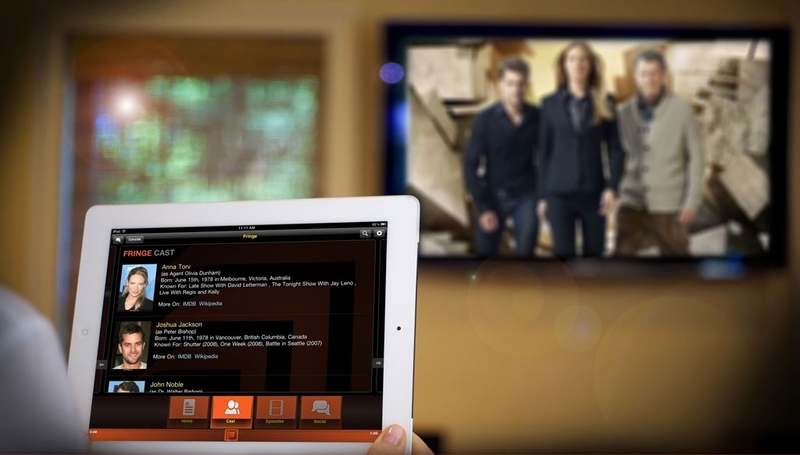 Plus, these technologies can do so in a way that is independent of a show’s programmed time slot, and can compensate for DVR recordings, streaming from the web, and other common forms of TV viewing. The problem is, these recognition technologies have been around for a long time—some quick web searches pointed to initial efforts from almost 10 years ago—and none have found mainstream acceptance. To my mind, this seems like a great big data/cloud analytics opportunity, so I have to presume work continues to evolve in this area. Even once you can accurately identify what people are watching, however, that still has to be translated into a range of web-based “responses.” At a simple level, taking people to a particular program’s website is a reasonable first step, but there are a whole range of rich opportunities for linking to related content, shopping opportunities, and much more. Plus, with some additional intelligence, there would be an additional level of personalization that would be possible. In other words, if you and I were both watching the same program, we wouldn’t necessarily receive the same links for further browsing and exploration. Like many of the technologies I expect we’ll see at the upcoming 2016 CES, the concept of a smart, connected TV viewing experience isn’t new. However, that doesn’t mean there isn’t an opportunity to leverage the enormous range of devices and connectivity options now ubiquitous in homes around the world to drive a new set of experiences consumers will truly appreciate. After all, in the tech business, timing is everything.